September 25, 2013 k3fitLeave a Comment on Wacky Wednesday! Go CoCo Nutty! Wacky Wednesday! Go CoCo Nutty! 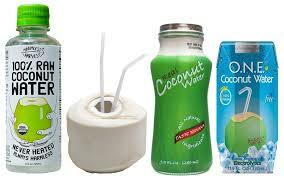 Coconut water has really hit the mainstream America in the last few years and hyped as a healthy sports drink, many retail companies have gotten on the bandwagon and started making all sorts of coconut water concoctions and have been raking in the cash. 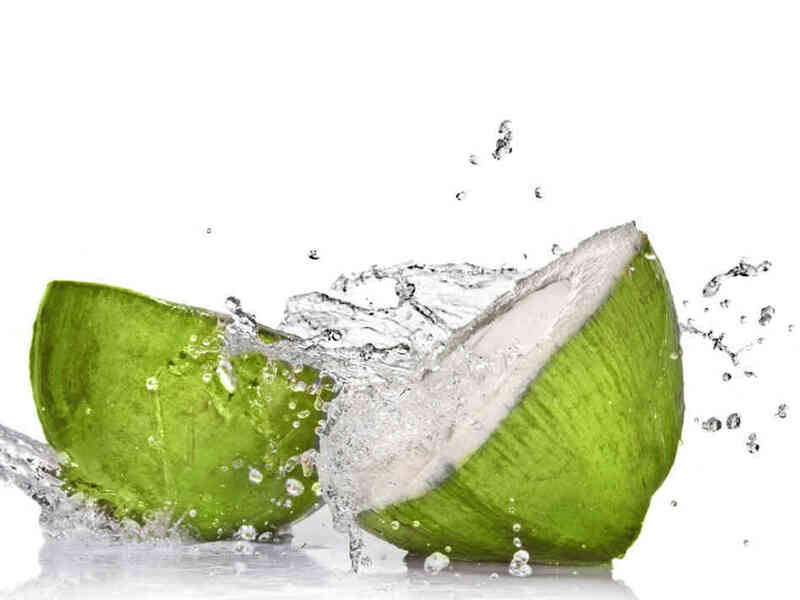 The best coconut water you can get is from the actual young green unpasteurized coconut itself, so it has all of its enzymes that help detoxify, hydrate and repair the body. This is different from the brown coconuts in most mainstream stores which have coconut milk. People have been drinking it for centuries in tropical areas to re- hydrate. The coconut water sold in stores is typically pasteurized or from concentrate, it still contains tons of great minerals and will hydrate you but it is not in its raw state. There are very few companies that sell raw coconut water. Harmless harvest is one brand I can think of. 100 ML of coconut water contains 250 mg of potassium and 105 MG of sodium, making it a great option to drink after a sweaty workout. Coconut water contains bio active enzymes such as acid phosphatase , catalyses and diastase which aid in digestion and metabolism. It does not taste like coconuts, if you are looking for it to taste like a mounds candy bar you are out of luck, that would be the coconut flesh not to be confused with the sweet tasting coconut water which is clear. Is it going to make you skinny or fit? While it is by far better than reaching for any kind of carbonated drink or sports drink with artificial neon colors, or sucrose loaded beverage but it doesn’t contain any sort of fat burning properties. It is awesome to use in post workout shakes or just drink on its own after a hard workout to replace carbohydrates,glycogen, potassium ,electrolytes, magnesium. Not bad for a hangover morning either although I am not promoting that as part of a healthy lifestyle on a regular basis! Avoid the ones with added sugars, flavorings. Your best bet is the plain coconut water, if possible look for one not from concentrate. For most people drinking water is just fine after a workout, and if you eat a balanced diet with lots of fruits and vegetables you will be getting plenty of potassium ,sodium and other micro nutrients. If you do find yourself doing 2 hrs or more of working out, heavy sweating it’s a great idea to grab a coconut water as well as things like bananas, dates to replenish your body. Here is a recipe mix for a great homemade sports drink you can mix up in a shaker cup to be sure you are replenishing your body really well. Now get out there and do some sweating!! Previous Teach your Kids Tuesday – Snack Edition!